So you need people to register for your event and you’d like to use an event registration kiosk. In this article we’ll show you just how simple it really is to create an event registration form using Google Forms. 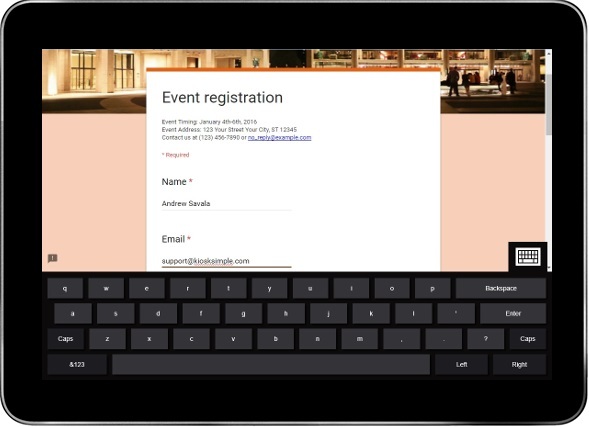 Finally we’ll show you how to securely host your event registration form using an affordable Windows tablet and KioskSimple.